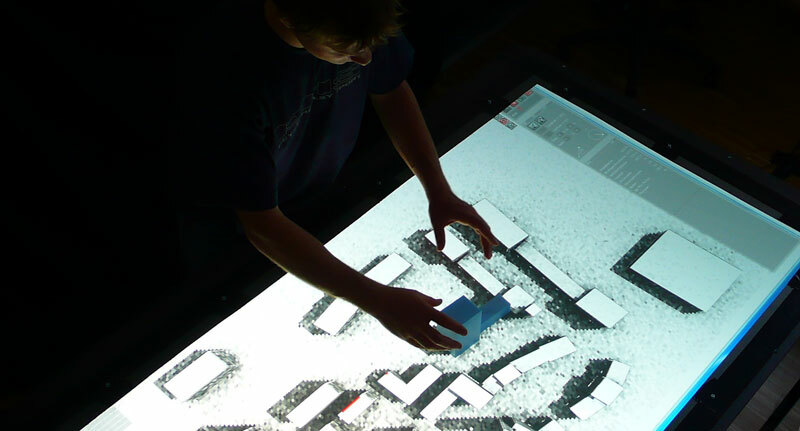 Using a computer in order to realize creative design tasks is still cumbersome an inefficient. Both single and multiuser scenarios are affected by it. One of the most challenging problems is the inadequate Human-Computer Interaction of most of the current computer systems. 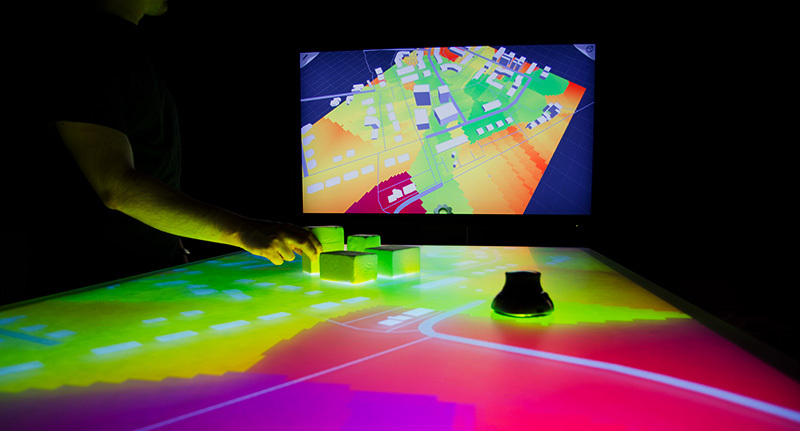 Within an interdisciplinary project together with the Chair of Augmented Reality (Prof. Gudrun Klinker) as well as the Chair for Architectural Informatics (Prof. Ing. Frank Petzold) a collaborative design platform has been developed on a scale of 1:1. 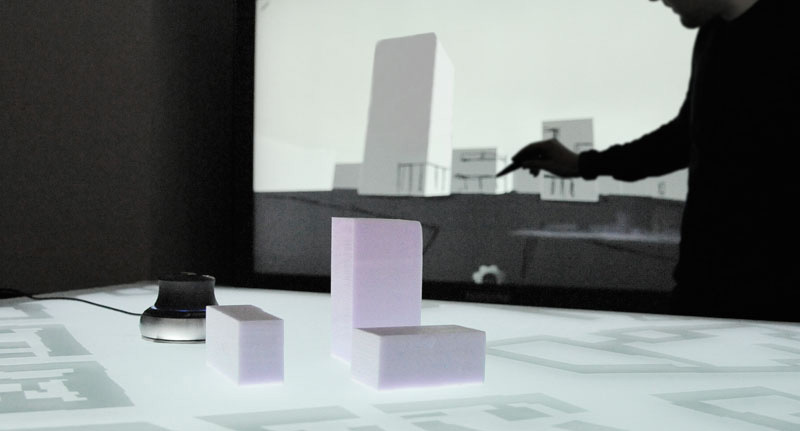 Based on the architectural requirements during the early design stages and the challenge to link the digital and analogue world new interaction methods should be studied and analyzed. 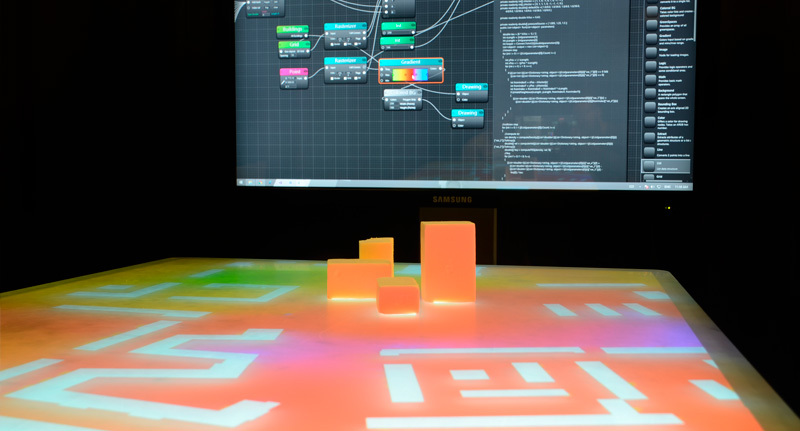 Based on this a prototype has been realized on a 1:1 scale, in order to make the creative design phase on the computer more efficient and more intuitive.